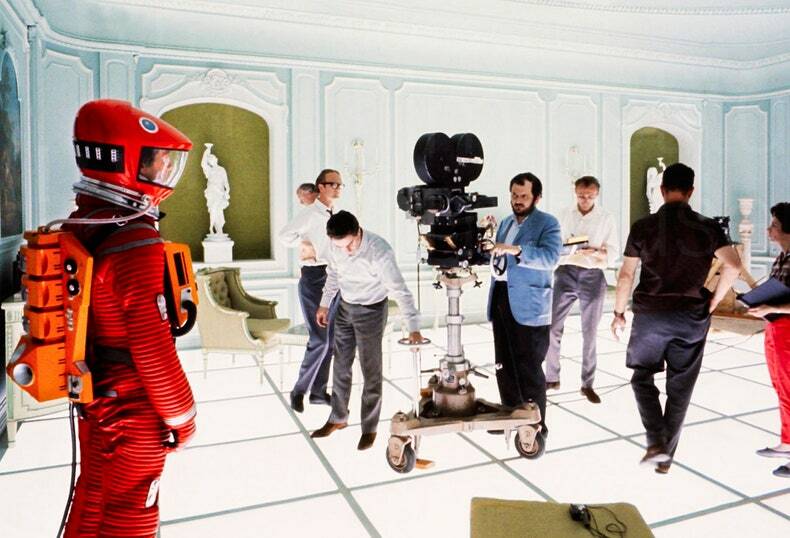 Stanley Kubrick, behind the camera, directs Keir Dullea in the final sequence of ‘2001: A Space Odyssey.’ From Collection Christophel. “The emotional nuance of Pialat’s camera work—immediately on display here in that slithering, pins-and-needles tracking shot that moves from the sight of Suzanne entering and taking off her look to the room where Roger stirs—often goes largely ignored in favor of his more en vogue genius with performance. He was a master of directing improvisation, and his disdain for traditional performance is apparent in his sometimes unusual methods, as when he kept Roger’s return at the end of À nos amours a secret from the entire cast. But Pialat doesn’t get enough credit as a shot maker. 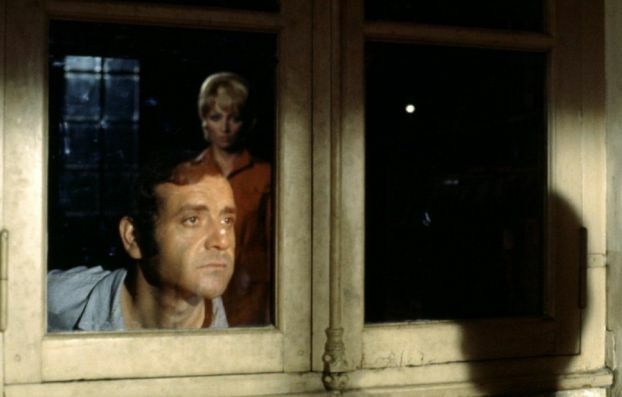 His brand of pugilist naturalism often draws lazy (but understandable) comparison to John Cassavetes, which underlines Pialat’s work with actors while diminishing his specific formal genius. His painterly compositions somehow withstand the unpredictable chaos of his sets while simultaneously revealing the emotional crinoline of his dramas.” Russel Harbaugh breaks down a favorite scene—and the ripples it sends through the rest of the film—in Pialat’s À nos amours. “So the studio came into the 1950s with little artistic pretension but very confident about what would work for it in genres. Westerns, characteristically strong, would be a mainstay—the first director Goldstein brought in with Black Bart (1948) was the gifted and still underrated George Sherman, and this was also the first U-I production in Technicolor—and comedies of all kinds, always with significant returns to service comedies after the success of the original Buck Privates (Arthur Lubin, 1941). Abbott & Costello Meet Frankenstein (Barton, 1948) effectively jolted the traditional horror cycle to an end, but it would come back in another way, attuned to the times, with a brilliant cycle of science-fiction/horror films in the 1950s. There were also fantasy and adventure films (the Arabian Nights genre, important in the 40s, was resurrected). And there were always some melodramas—not necessarily audacious ones, usually more somber and characteristically in black and white as this decade began.” In the first half of a two-part essay on Sirk’s films for Universal-International, Blake Lucas lays out how the studio, far from being an artless movie factory that the auteur was able to subvert with his isolated genius, was perfectly primed to allow a great filmmaker to reach the full flower of his genius. “Actors don’t work much. You’ve got to be lucky to get in a position to get jobs. So what do actors do if they have an interest in playing roles if they can’t get them? It takes a village to get a part. That’s why I like certain places you can go as an actor, places you find. If you get in, you have a home base there, a place to go to and try things out. I like experimenting, trying things out. When I reflect, that’s what I like to do.” I’m unclear on the logistics, but Al Pacino’s interlocuters for his Interview chat are four previous collaborators: Jessica Chastain tries to get at the personality, Chris Nolan wonders about improvisation and working with directors, Mike Newell ekes out some autobiography, and Michael Radford reminds everyone how great Pacino was working with Michael Radford. Two galleries at TIFF, one visual one auditory, celebrate a pair of overlapping masters. Craig Caron presents a lovely display of Varda posters through the years, while Chris Cummings offers a wealth of jazz covers of two of Michel Legrand’s hits from The Umbrellas of Cherbourg. TV writer and producer Steven Bochco was one of the most influential creators of TV, with shows like Hill Street Blues, L.A. Law, and NYPD Blue reshaping conventions of the genres. Before creating those and other shows, he wrote the screenplays for Douglas Trumbull’s Silent Running (1972) and a TV movie remake of Double Indemnity (1973), wrote for TV shows like Columbo (including the series pilot “Murder by the Book,” directed by young Steven Spielberg), The Bold Ones: The New Doctors, Delvecchio, and McMillan & Wife, and created the short-lived Richie Brockelman: Private Eye and Paris with James Earl Jones. Hill Street Blues brought a serialized approach to the cop drama to give its ensemble cast room to explore their characters and stories and earned critical raves and 98 Emmy nominations over its seven-season run. He brought a similar approach to L.A. Law and pushed the envelope of TV censorship with NYPD Blue, which ran for 12 seasons and, quite unexpectedly, became centered on the redemption story of Det. Andy Sipowitz, who is an alcoholic, bigoted burn-out in the first episodes. He also created Doogie Howser, M.D. with Neil Patrick Harris; Murder One, which followed a single case over an entire season and anticipated shows like The Killing, the playful Hooperman with John Ritter, hospital drama City of Angels, Iraq war drama Over There, TNT legal drama Raising the Bar, and of course his short-lived Cop Rock, which became a punchline for its attempt to bring the musical idiom to his gritty style of cop drama. He passed away at the age of 74. More from Mike Barnes at The Hollywood Reporter. Susan Anspach made her film debut in Hal Ashby’s The Landlord (1970) and was at the birth of the new American Cinema of the 1970s with Five Easy Pieces (1970) and Blume in Love (1973). She started on the New York stage and starred in the original off-Broadway premiere of the counter-culture musical “Hair” and co-starred in Play It Again, Sam (1972) and The Big Fix (1978), but her roles on both the big and small screens were intermittent through her career. She died at age 75 this week. Anita Gates for The New York Times.